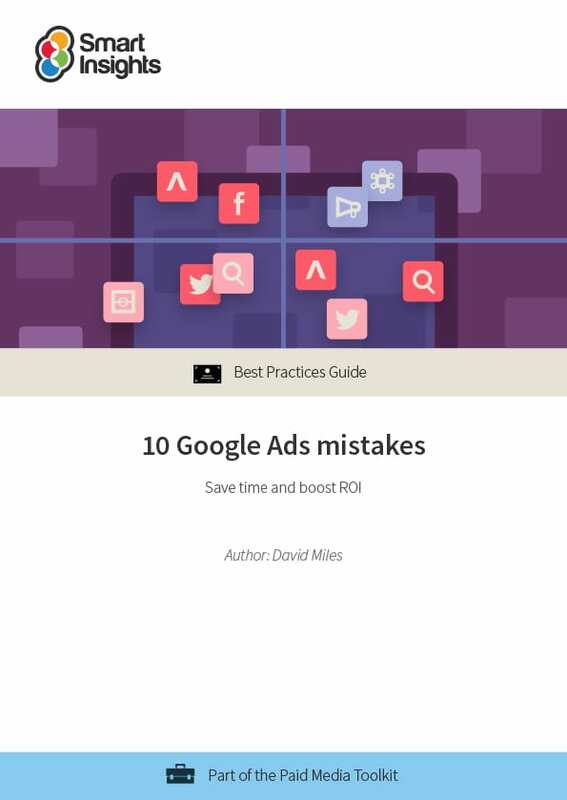 The guide covers mistakes that many people make when using paid search advertising, for example Google Ads. 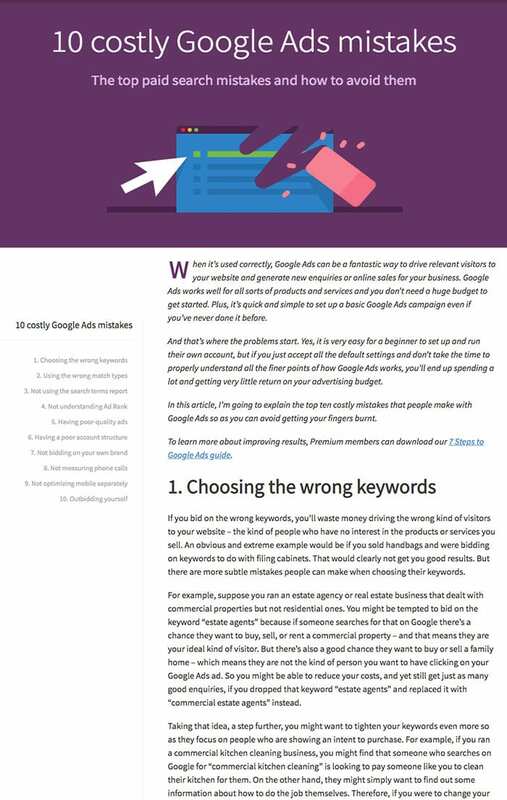 Covering the most up-to-date and most common mistakes, the guide is a great reference point to help you succeed with paid search marketing. This guide has been updated to provide a more detailed explanation of Google Ad Rank, with a new video explanation of Quality Score, as well two brand new sections – the importance of bidding on your own brand and the possibility of keyword groups meaning you’re bidding against yourself.